Buddhism is a vast and complex religious and philosophical tradition with a history that stretches over 2,500 years. In this introduction to the foundations of Buddhism, Rupert Gethin concentrates on the ideas and practices which constitute the common heritage of the different traditions of Buddhism (Theravada, Mahayana, and Vajrayana) that exist in the world today. 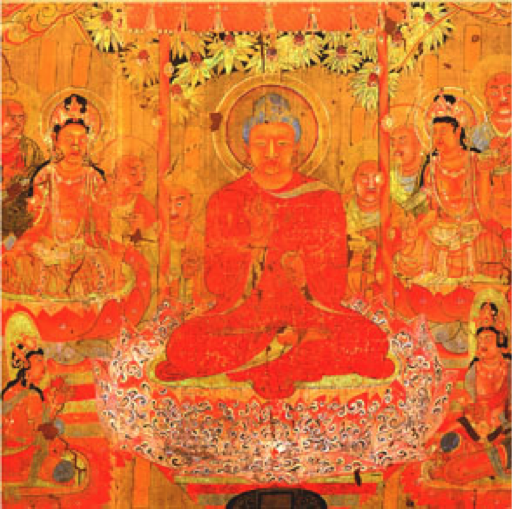 From the narrative of the story of the Buddha, through discussions of aspects such as textual traditions, the framework of the Four Noble Truths, the interaction between the monastic and lay ways of life, the cosmology of karma and rebirth, and the path of the bodhisattva,this book provides a stimulating introduction to Buddhism. March 28: No Book Discussion – Zen Retreat in Progress. *Copies of the Satipatthana Sutta and the Heart Sutra will be provided. The Foundations of Buddhismis widely available in bookshops and online.